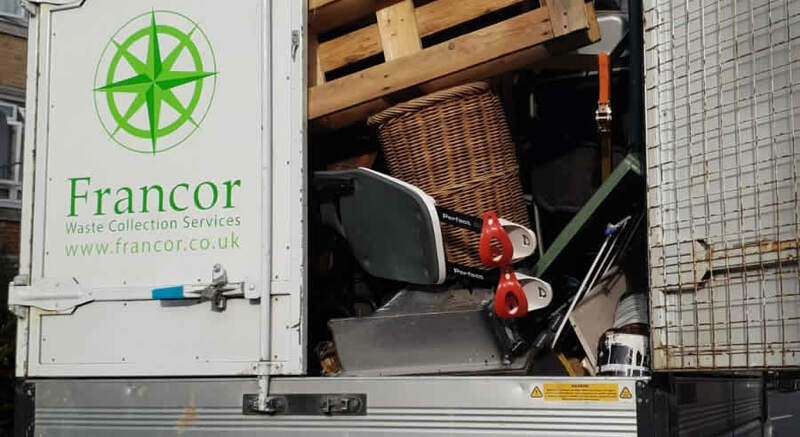 Francor offer a waste disposal and rubbish collection service working in and around Cricklewood, London NW2. 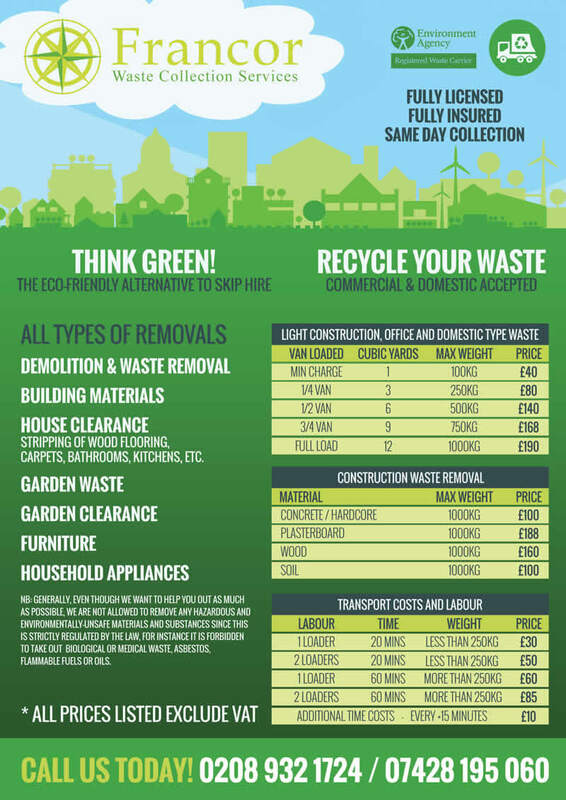 We are here for all your rubbish collection and waste disposal needs including house and garden clearance. We offer our services in local areas throughout London including Cricklewood NW2. We are experienced in clearing all types of house, office and builders waste in the Cricklewood area with very competitive prices.